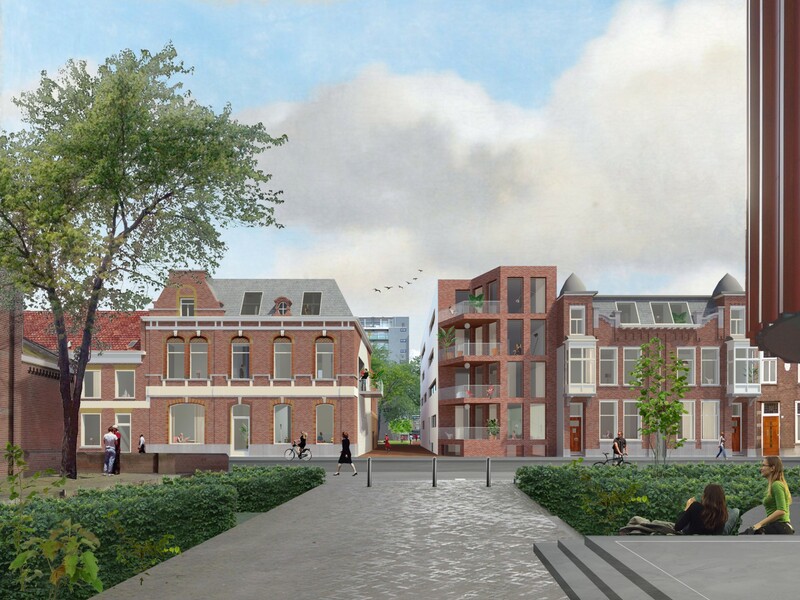 This project forms a vision for the restoration and transformation of the monumental ensemble of the Franciscan monastery and its adjacent buildings on Bisschop Zwijsenstraat in Tilburg. 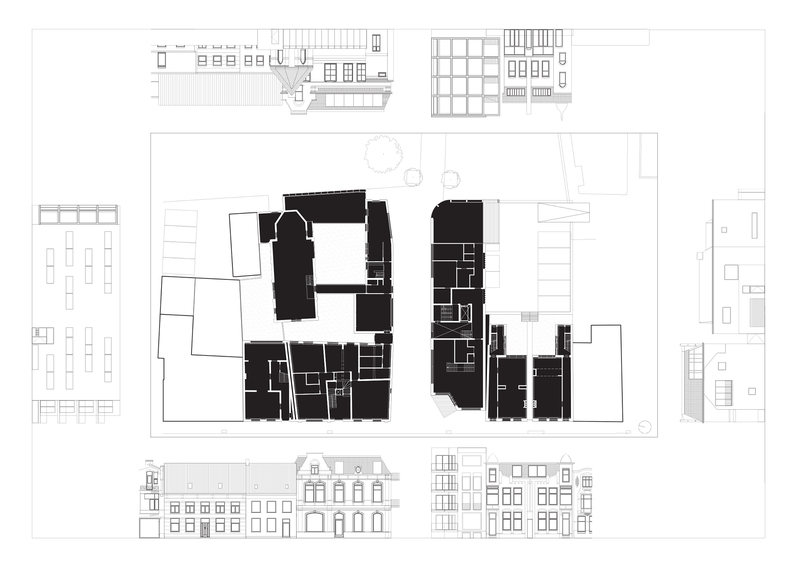 Both the monastery buildings as the whole fragment of ribbon development have a high cultural historic value, accounting for the catholic influence in the 19th and 20th century on Tilburg’s society and city image. 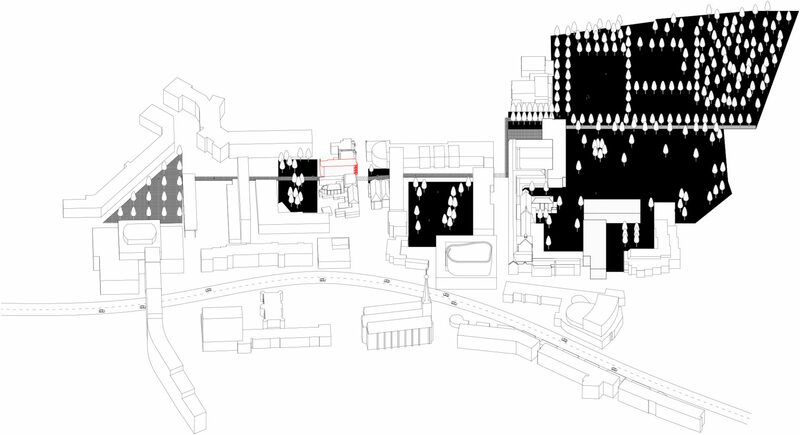 The urban layout is characteristic for Tilburg’s urban tissue with narrow and deep plots, occupied by a dwelling at the street side and various secondary functions (as storages, factories, or a chapel and a refectory) at the rear side. 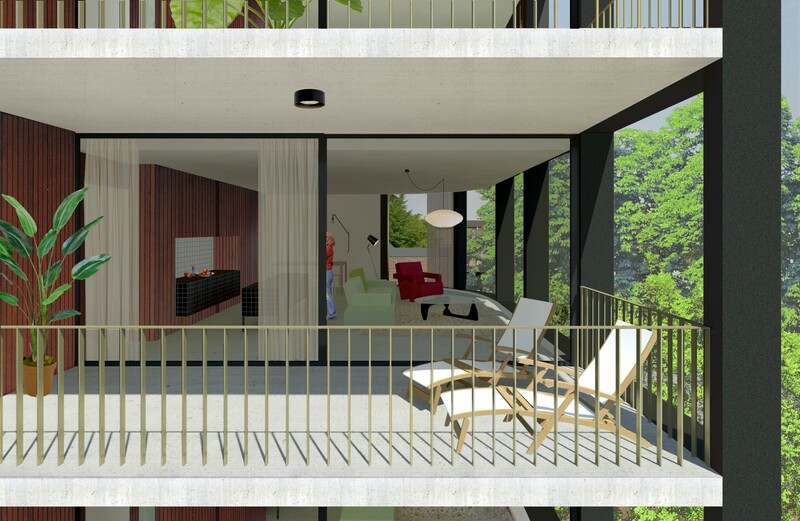 The existing monumental buildings will be restored and made ready to be transformed into different typologies of dwellings. 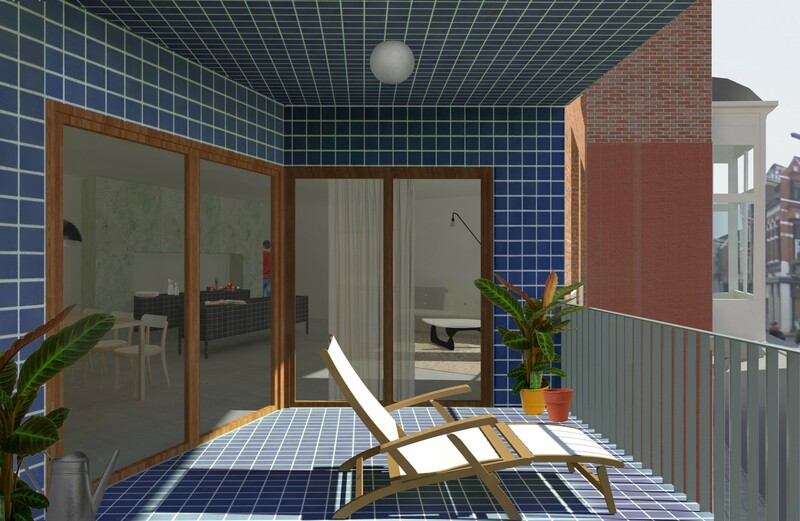 They will be offered to potential clients as “do it yourself houses” (empty shells where the inhabitants are free to choose the interior layout, with respect for the original structure). The chapel will maintain a semi public function as a cafe or exhibition space, or atelier open to the public. 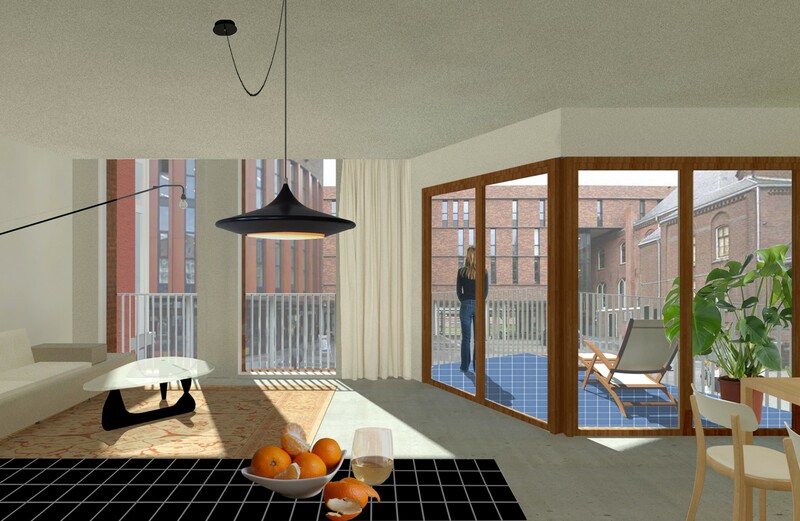 In order to make the plan financially feasible, a new apartment building will be added in the centre of the ensemble . 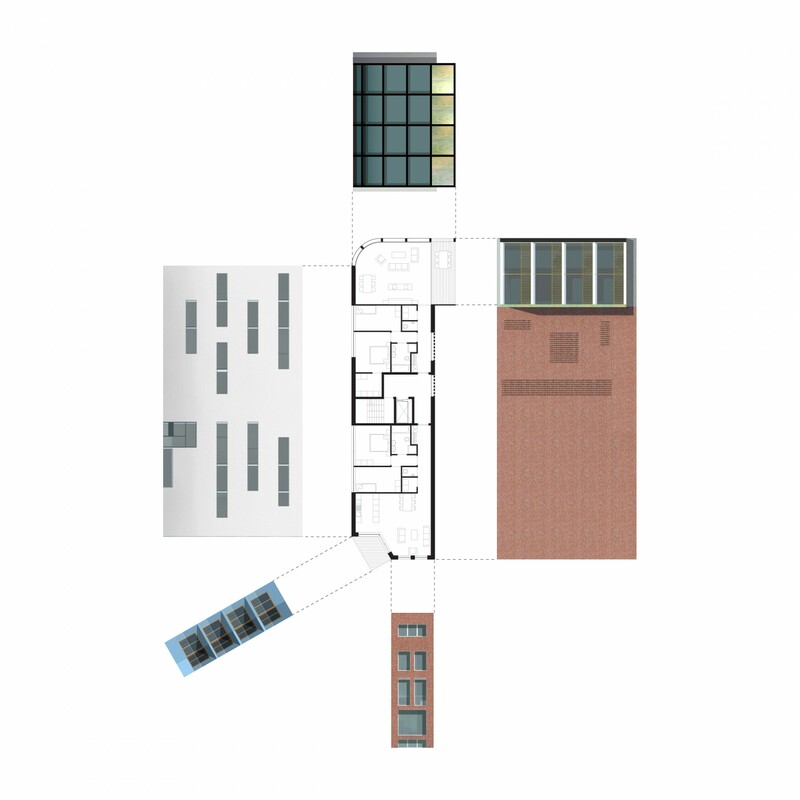 Its layout conforms to the characteristic urban tissue with a narrow and deep footprint, facing both the Bisshop Zwijsenstraat and the public garden at the rear side of the ensemble. Its slender silhouette leaves place for an important pedestrian route which connects the public garden with other “hidden gardens” in the centre of Tilburg. The volume guides the route through a rounded-off corner towards the public garden and a pushed-in corner towards the street side. 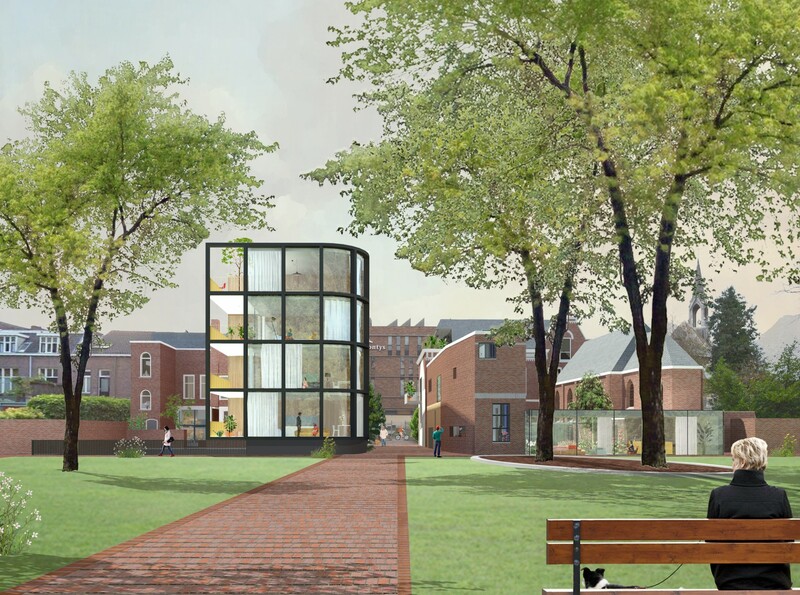 The volume manifests itself with different “faces” towards the various specific urban contexts: a contemporary interpretation of the characteristic brick buildings on the Bisshop Zwijsesntraat, a classic modern white facade with “fenêtres en longueur” along the narrow lane and an all glass wall towards the garden. 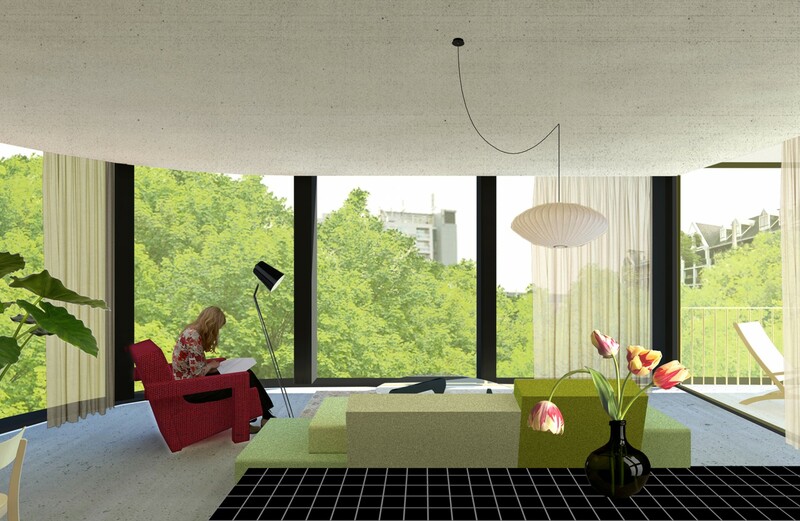 Each level is occupied by two apartments with identical layouts but whose living areas radically differ in atmosphere according to the orientation to the street or the park dictated by the different facade.